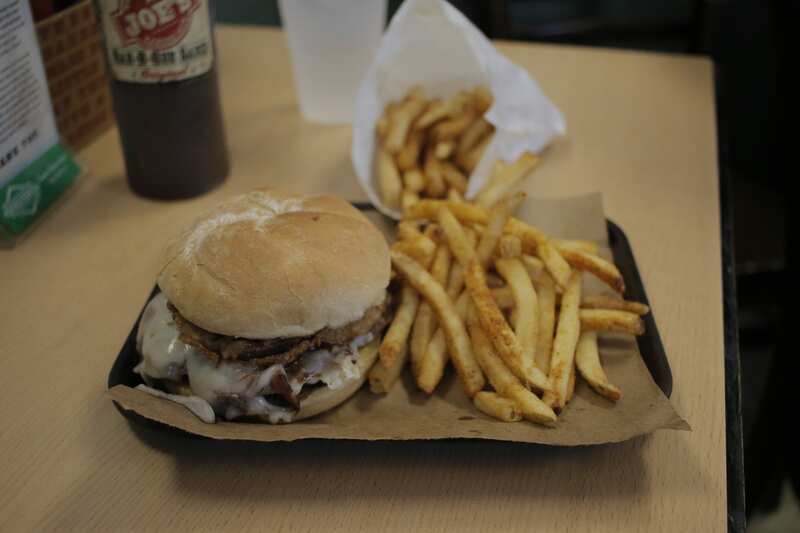 Customers may not have been able the name the Z-man sandwich, but they’ve convinced Joe’s Kansas City to make more than a few varieties of the iconic barbecue two-hander over the years. In the debut episode of “Today’s Special”, Joe’s Kansas City owner Jeff Stehney talks about how the Z-man got its name and just exactly how the unconventional combination of smoked brisket, onion rings, smoked provolone, and barbecue sauce ended up on a buttered, toasted egg bun. 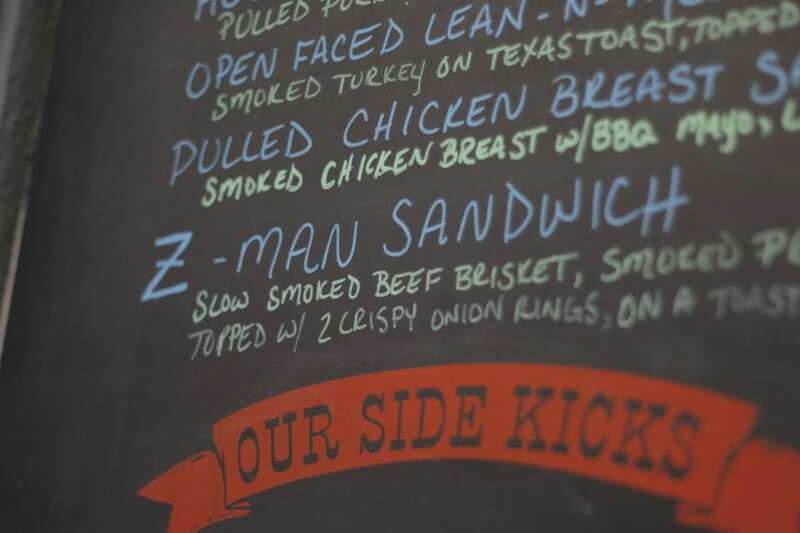 Jimmy Kimmel has sang the praises of the brisket bombshell on late night television and Zagat decreed it the best sandwich in Kansas, but it’s not the only version of the Z-man that is actually on the board at Joe’s Kansas City. There is a pair of off menu versions that are worthy of their own investigation: the pulled chicken Z-man and the Portobello mushroom Z-man. “The natural progression when you’ve got the beef Z-man is for people to ask for other ones,” Stehney said. The chicken Z-man – which Stehney believes is the best sandwich on the menu – initially started as a Wednesday-only lunch item a few years ago. The pulled chicken meat is leaner than brisket, so the mayonnaise compensates for that by adding a bit of the savory and fat elements that the sandwich would be missing otherwise. The Portobello mushroom Z-man arrived three years ago as a promotional item for Lent along with a fried soft shell crab po’boy. Initially seen as a ‘meatless Monday,’ option, the sandwich’s popularity with vegetarians has turned it into a year-round offering. Get it your way: You can pretty much “Z-man” anything on the menu. The mushrooms are smoked for about an hour and then prepared with the barbecue mayonnaise in a similar fashion to the chicken Z-man. As soon as the mushrooms are out of the smoker, they’re sliced thin and placed on paper towels to absorb the moisture that is released during smoking. This version introduces umami alongside the smoky, sweet and salty notes of the sandwich. Not sold yet? Here’s a pro tip. You can actually ‘Z-man’ ostensibly anything on the menu. Joe’s Kansas City will make you a Z-man with turkey, pulled pork, sausage or even burnt ends (although covering burnt ends with cheese is likely a bit too much of a departure from the classic barbecue canon.). You won’t get to name your new creation, but you do get to eat it. And that’s better than most consolation prizes. 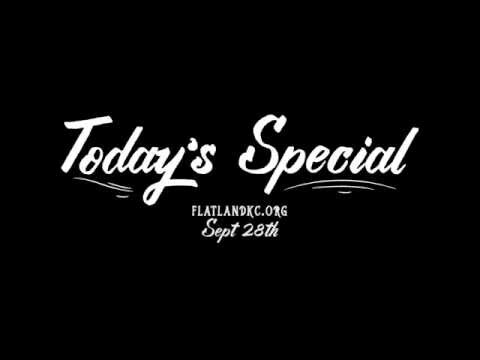 — Follow “Today’s Special,” a five-part digital-first series, on Mondays at Flatland and on Thursdays at KCPT. 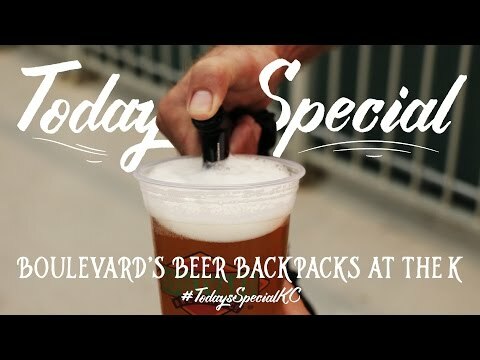 Next week (Oct. 5 | TV Oct. 8) it’s a peek at Boulevard’s Beer Backpack at The K with Master Cicerone Neil Witte.